Book(ed) Passage: Attend Hooked reading -- Win A BRAND NEW CAR! Attend Hooked reading -- Win A BRAND NEW CAR! If the fates and fortunes align, we'll cross paths next week at Book Passage. 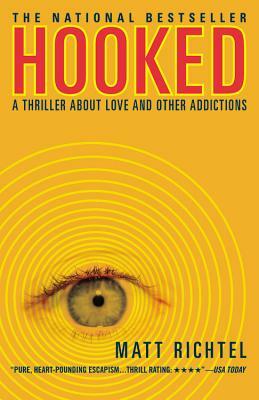 I'll be there Wednesday, around 7, reading from Hooked, my thriller. It should be a lot of fun, replete with a brief reading, questions and answers, revelations about the tradecraft, personally embarrassing anecdotes, and, then, at the end, someone in the audience will, at random, receive a brand new Honda Civic. It's going to have everything too: an eight-speaker stereo, leather seats, an all-electric power system, a built-in waffle iron. It'll be the most extraordinary reading. So, that's it, then. I'll see you there? Book Passage, at 7. Please dress accordingly. I should add one thing. The part about the free car is absolutely not true. A complete lie. I don't know why I said that. No car. Also, I'm so ashamed, no waffle iron. Candidly, I'm not even sure if there will be snacks at the event. I'm sorry. I really blew it this time. I hope you weren't getting your hopes up and picking out dashboard colors for the compact car you will absolutely not be winning. It was a childish come on. Regrettable in every way. But, and this part I assure you is true: there was a reason I did it. I can see that clearly now. I blame The Terror. Have you heard of The Terror? Has a friend/relative/loved one who is a writer explained the writing craft's One Truly Great Horrifying Terror? Well, there is one. One thing that gets a writer quivering even more than writer's block or "why isn't my agent calling me back within five minutes" syndrome. The one truly great terror takes place the five minutes before a book reading. The Terror goes like this: THIS BOOKSTORE IS EMPTY AND THE ONLY PERSON WHO IS ATTENDING THIS BOOK READING IS MY WIFE AND SHE'S ALREADY HEARD ALL MY JOKES! That's The Terror. It's universal for writers, or so I've heard. For many of us, the fear of an empty book reading is worse than the fear of mortal disease, chiefly but not exclusively because if you get a mortal illness your wife will at least keep laughing at your old jokes (as a complete digression, for you Marin residents who might attend the book reading, Severe Biker's Rash does not count as a mortal illness, though it might be painful and benefit from a salve). So, it was to thwart The Terror that I made up the thing about the free car. And the built-in waffle iron. I just wanted to try to get you to show up. But, if you do, despite my childish false promises, I genuinely assure you that we will have a lively discussion, a brief but scintillating reading, and, afterwards, I will use my secret powers to heal all of your illnesses and make you filthy rich. So that's it. See you next Wednesday. 7 p.m. What? What'd I say?